Godaddy Cloud Hosting closed ? Need Godaddy Alternative ..
We’re discontinuing GoDaddy Cloud Servers. • Bitnami apps and images won’t be supported after 2017/11/15. • All other images and servers won’t be supported after 2017/12/31. • Your billing cycle and billing rate won’t change. To add to your Happiness use Coupon code WHUK10 to get 10% OFF. We offer FREE Migration and true 24x7x365 days Support. WebHost.UK.Net has been in Hosting industry for more than 13 Years, know as one of the Best UK Web Hosting provider for offering professional Web hosting and quality customer support. WebhostUK LTD offers most reliable and affordable Web hosting service in top UK datacenter. 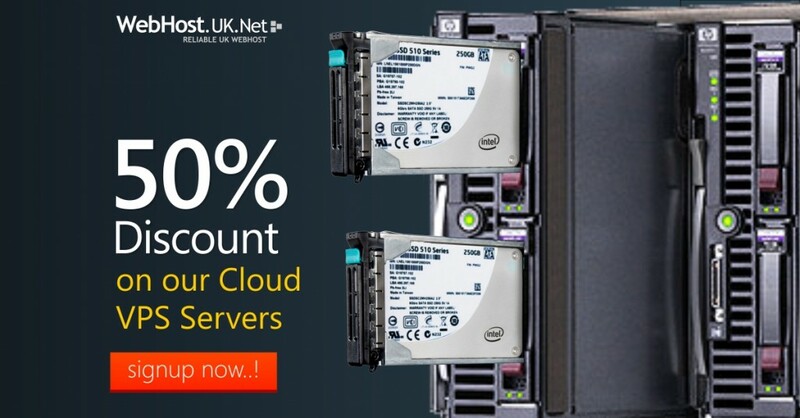 Its Good Friday and on this occasion WebhostUK LTD is happy to offer great discount and offer on its most sold services , UK Resller Hosting and Cloud VPS Hosting package.Sign up for Reseller Hosting Plan by using GOODFRIDAY coupon code and get 1 Year Additional Hosting absolutely free! Or Order Cloud VPS Hosting Plan and get 40% Discount on the first payment. 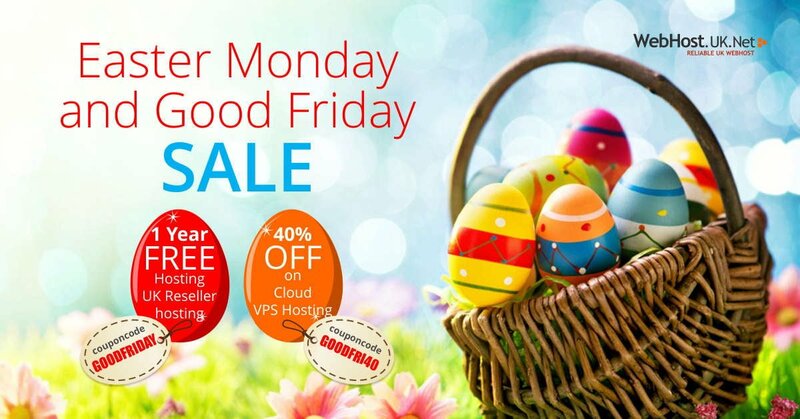 To redeem 40% Discount on Cloud VPS Hosting Plan, use GOODFRI40 coupon code while placing the order. Note: 1 Year Free Hosting will be added manually by Billing Department for the customers who order Reseller Hosting Plan using GOODFRIDAY Coupon Code. As this process requires manual Verification in billing system, it will be done manually. 1) Free WHMCS Billing Software (on selected reseller plans). 2) 100% private labeled end user support through ticket system. 3) Free Softaculous Integrated with Cpanel (300+ scripts). 4) Free Enom reseller account. 5) Free private labeled nameservers. 6) Free SSL Certificates (on selected reseller plans). 6) 24/7/365 days instant support available via Live Chat and Ticket System. If you have any questions or need more information about our hosting plans, please feel free to talk to us over Live Chat. When to upgrade to Virtual Dedicated Hosting (VPS Hosting ) ? Most webmasters on the net today are familiar with what the industry calls “shared” web hosting accounts. A shared hosting account is where you rent a small amount of space on a server which is shared among many other users. How can you avoid all of this Problems of shared hosting ? By upgrading to a virtual dedicated server. A virtual dedicated server lets you run your sites as if you had your own “dedicated” server, except it is cheaper because you are really just using part of a server that has been split into multiple virtual dedicated servers. You can find out more about this by searching Google for “virtual dedicated hosting”. Virtuozzo or XEN cloud VPS Servers is the main commercial software that web hosts use to run virtual hosting services. You will find virtual dedicated server accounts starting at just 25GBP a month. You’ll get a much larger chunk of bandwidth compared to shared hosting, and none of the problems that go with a shared host. You can also get multiple IP addresses that are exclusive to your sites. So what’s the catch? Not much. You’ll probably spend a bit more on hosting each month. The main disadvantage of upgrading to virtual dedicated hosting is that you will need to be more technically proficient so that you can administer the server. This requires a bit of time learning the necessary Linux skills to make sure your server runs smoothly. So the best way if you are non technical is to go for managed VPS Hosting and recently for high mysql usage you will get SSD VPS Servers that can boost website performance. Many hosting providers will have a “premium” support offering that includes a bit more hand holding – this is definitely recommended if you don’t have much experience with Linux, or are new to virtual dedicated hosting. With the increased speed and bandwidth that a virtual dedicated host offers, and none of the shared hosting headaches, the move is one you will never regret. This December, WebHostUK is introducing Pure SSD Drives as option with its Cloud VPS Packages. These Pure SSD Drives are the real deal and are different from Cached SSD Drives. Most customers like to get free trial however as the server hardware cost is higher; there is no space for us to offer free trial. So, we are offering 50% Discount on the first month payment of highly scalable, flexible and robust Cloud Hosting Plans. What is the difference between Pure SSD Drives and Cached SSD Drives? Pure SSD Drives are faster than SSD-Cached Drives. SSD-cached VPSs store “hot” data (data frequently called on by the server) in a RAID10 array of SSDs. Powered by Citrix Xen Technology, WebHostUK Cloud VPS is ideal for business websites and resource consuming websites. Customers can also choose their Cloud OS from the extensive list of Linux Operating System available such as CentOS, Debian, Ubuntu, Red Hat and many more. All Cloud VPS are Fully Managed Servers that includes Pro-Active Server Management, Round The Clock Monitoring, Periodic Security Audits and Software Updates. Our Certified System Administrators are available 24/7 via Live Chat and Tickets to provide technical support. So why wait? Hurry up and test our high performance Cloud VPS Hosting by getting 50% Discount on the first month’s payment. If you have any questions, please send an email to sales@webhostuk.co.uk or contact our Sales Department on Live Chat.